At this juncture of the “Honeymoon Killer” trial, Dan is not expressing confidence in the prosecution. While acknowledging that the accused has changed his story multiple times, which obviously doesn’t speak well for his case, disproving his accounts is the difficult part. This is a tough case, technically speaking. 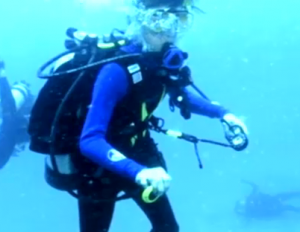 The prosecution relies on scuba diving experts for effective testimony. Those experts and other witnesses – some of whom would need to be flown in from Australia, nearly nine years after the event occurred – are basically the prosecutions only crutch. In many cases, Dan says, motive is important. The fact of the matter is, with regard to an insurance policy to which Gabe Watson was not the beneficiary, the motive here is just not strong enough to win.